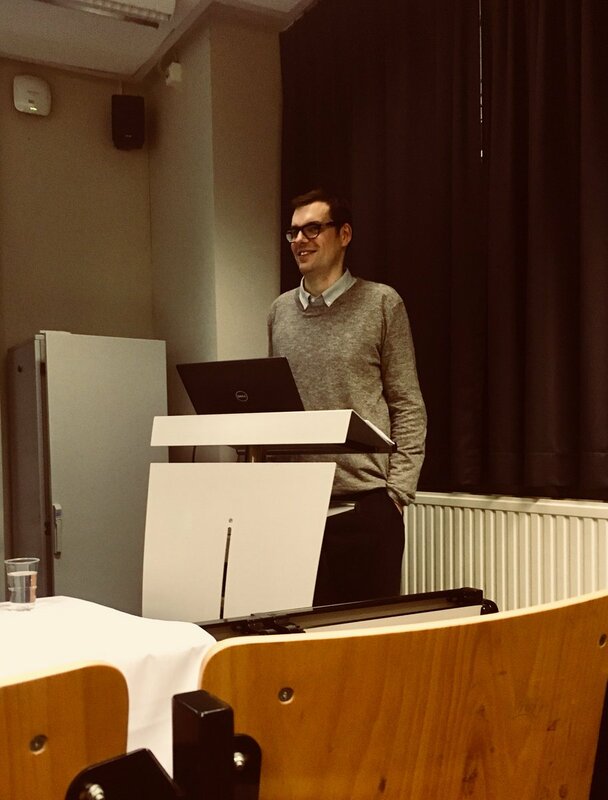 Op 18 december 2018 verdedigde collega Bram Fret succesvol zijn doctoraat ‘Who cares?! 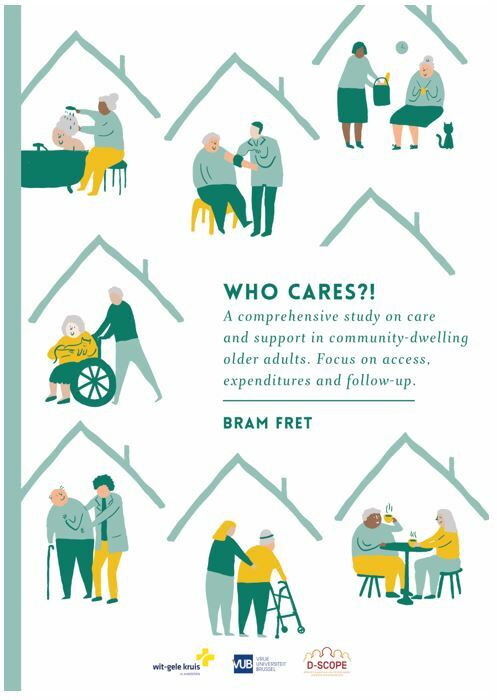 A comprehensive study on care and support in community-dwelling older adults. Focus on access, expenditures and follow-up'. Het doctoraat kwam tot stand door de samenwerking tussen Vrije Universiteit Brussel en het Wit-Gele Kruis. 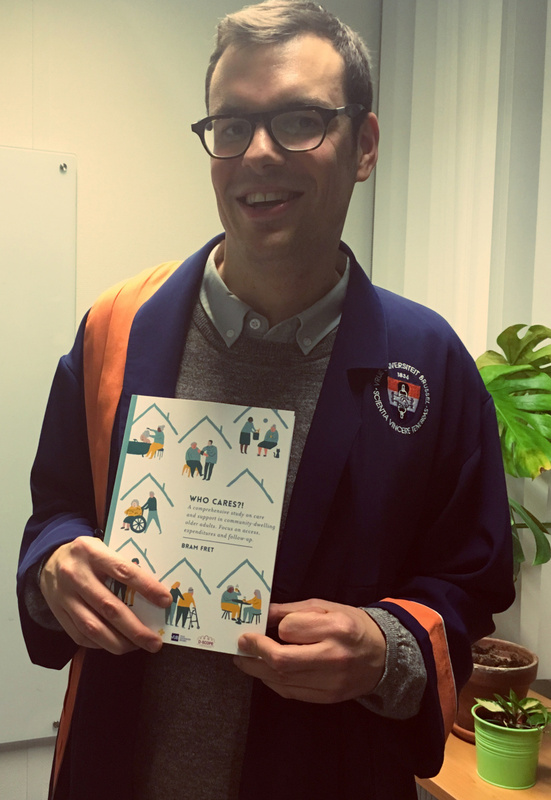 Bram behaalde de titel 'Doctor of adult educational sciences'. The ageing population is one of the biggest social and economic challenges facing the European Union. Projections foresee a growing number and share of older adults (aged 65 years and over), with a particularly rapid increase in the number of very old adults (aged 85 years and over). It’s the explicit wish of a very large group of Belgian older adults to live at home as long as possible (to age in place). Belgian older adults use both formal care and support services rather frequently compared with other European countries. This doctoral dissertation aimed to explore which are the conditions to organise and provide access to high-quality care and support for (frail) community-dwelling older adults. By using a multidimensional approach of frailty and both quantitative and qualitative research methods to define types of care use among older adults and access barriers, this dissertation adds new knowledge to the existing literature. Moreover the affordability of formal care was explored through an extensive questionnaire taking into account all income and expenditures in order to evaluate the affordability of ageing in place. Furthermore, the added value of regular telephonic follow-up after preventive home visits within a detection and prevention program for frail community-dwelling older adults was investigated. This dissertation ends with some concrete recommendations for both policy and practice.